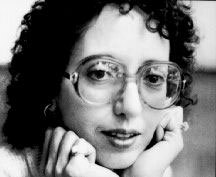 Joyce Carol Oates has often expressed an intense nostalgia for the time and place of her childhood, and her working-class upbringing is lovingly recalled in much of her fiction. Yet she has also admitted that the rural, rough-and-tumble surroundings of her early years involved "a daily scramble for existence." Growing up in the countryside outside of Lockport, New York, she attended a one-room schoolhouse in the elementary grades. As a small child, she told stories instinctively by way of drawing and painting before learning how to write. After receiving the gift of a typewriter at age fourteen, she began consciously training herself, "writing novel after novel" throughout high school and college. Success came early: while attending Syracuse University on scholarship, she won the coveted Mademoiselle fiction contest. After graduating as valedictorian, she earned an M.A. in English at the University of Wisconsin, where she met and married Raymond J. Smith after a three-month courtship; in 1962, the couple settled in Detroit, a city whose erupting social tensions suggested to Oates a microcosm of the violent American reality. Her finest early novel, them, along with a steady stream of other novels and short stories, grew out of her Detroit experience. "Detroit, my 'great' subject," she has written, "made me the person I am, consequently the writer I am-for better of worse." Between 1968 and 1978, Oates taught at the University of Windsor in Canada, just across the Detroit river. During this immensely productive decade, she published new books at the rate of two or three per year, all the while maintaining a full-time academic career. Though still in her thirties, Oates had become one of the most respected and honored writers in the United States. Asked repeatedly how she managed to produce so much excellent work in a wide variety of genres, she gave variations of the same basic answer, telling the New York Times in 1975 that "I have always lived a very conventional life of moderation, absolutely regular hours, nothing exotic, no need, even, to organize my time." When a reporter labeled her a "workaholic," she replied, "I am not conscious of working especially hard, or of 'working' at all. Writing and teaching have always been, for me, so richly rewarding that I don't think of them as work in the usual sense of the word." In 1978, Oates moved to Princeton, New Jersey, where she continues to teach in Princeton University's creative writing program; she and her husband also operate a small press and publish a literary magazine, The Ontario Review. Shortly after arriving in Princeton, Oates began writing Bellefleur, the first in a series of ambitious Gothic novels that simultaneously reworked established literary genres and reimagined large swaths of American history. Published in the early 1980s, these novels marked a departure from the psychological realism of her earlier work. But Oates returned powerfully to the realistic mode with ambitious family chronicles (You Must Remember This, Because It Is Bitter, and Because It Is My Heart), novels of female experience (Solstice, Marya: A Life), and even a series of pseudonymous suspense novels (published under the name "Rosamond Smith") that again represented a playful experiment with literary genre. As novelist John Barth once remarked, "Joyce Carol Oates writes all over the aesthetical map." The dramatic trajectory of Oates's career, especially her amazing rise from an economically straitened childhood to her current position as one of the world's most eminent authors, suggests a feminist, literary version of the mythic pursuit and achievement of the American dream. Yet for all her success and fame, Oates's daily routine of teaching and writing has changed very little, and her commitment to literature as a transcendent human activity remains steadfast. Not surprisingly, a quotation from that other prolific American writer, Henry James, is affixed to the bulletin board over her desk, and perhaps best expresses her own ultimate view of her life and writing: "We work in the dark-we do what we can-we give what we have. Our doubt is our passion, and our passion is our task. The rest is the madness of art."